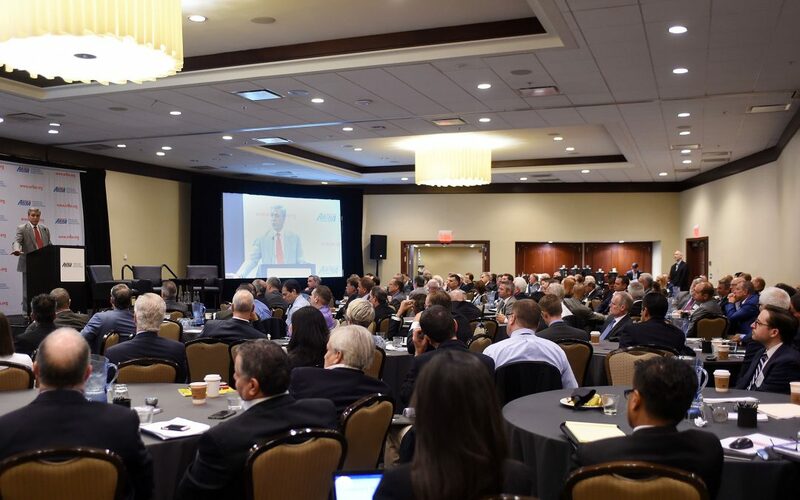 Transportation design and construction executives, financial services and consulting professionals mixed with members of Congress and state transportation agency officials July 13-14 at ARTBA’s 29th Annual Public-Private Partnerships (P3) in Transportation Conference. This year’s event in Washington, D.C., arrived as the Trump administration continues to develop its plans for $1 trillion of infrastructure investment over the next decade and Congress debates a major overhaul of the U.S. tax code that could be used to help pay for it. U.S. Rep. Lou Barletta (R.-Pa.), a key member of the House Transportation & Infrastructure Committee, said the P3 model is saving American taxpayers millions of dollars to leasing and selling federal properties to private investors. The same can be done for roads, bridges and other transportation projects he said. At the same time, however, Barletta said that user fees are also necessary for a sustainable revenue stream for the Highway Trust Fund (HTF), not the “one-hit wonders” of past surface transportation reauthorization bills, including the 2015 FAST Act. The congressman was an early Trump supporter last year. Sen. Ron Wyden (D-Ore.), ranking member of the Finance Committee, also acknowledged the FAST Act failed to do “the heavy lifting” of finding sustainable revenue stream for the HTF. He jabbed House Speaker Paul Ryan (R-Wis.) and Senate Leader Mitch McConnell (R-Ky.) for taking a gas tax increase off the table. A separate panel of House and Senate staffers working for transportation and authorization committee leaders said their bosses are committed to HTF programs.